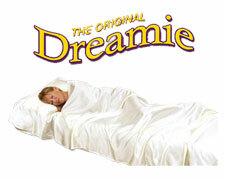 The Original Dreamie is the top sheet, bottom sheet, and a pillow pocket all in one. It is the best sheet, blanket, and mattress topper you’ll ever buy. With the Dreamie you’ll have the comfort of your bed wherever you go with its soft, comfortable, and clean sheets. It has a built in pillow pocket so that your pillow never slips away. It is perfect for travelers who want to bring their own bedding with them. The Dreamie is also great for house guests, sleep overs, hotels, in the car, college students, and more. A carrying case is included for storing and protecting the Dreamie. Plus it easily fits into any suitcase and is machine washable for easy cleaning. The Dreamie is available in three great colors. You can choose from Natural Ivory, Ruby Red, and Rich Espresso. Normally the Dreamie retails for $19.99 plus shipping and handling but right now with this buy 1 get 1 free offer, you can get two Dreamies for the price of one. You just have to pay the additional shipping.